In this guide we’ll take a look at the best inflatable kayaks. Inflatable kayaks are perfect for traveling paddlers, and Airhead Watersports’ Travel Kayak is no exception. This one-person model measures 26 x 18 x 8 inches deflated, and it weighs in at just 27 pounds. Airheads’ price is slightly higher than many of the models I tried, but it’s a solid kayak that made me feel safe on the water. It’s designed for lakes and moderate whitewater trips. The vessel is rugged and can withstand rockier conditions. I had no trouble toting this compact model. It fit easily into my car’s trunk. I’d recommend this kayak for all skill levels, and it’s my top pick for travelers. It tracks straight and smooth for enjoyable outings. Airhead has included neoprene elbow guards for added comfort. The vessel is easy to inflate and deflate with three Boston valves. Included are six D-rings at the bow and stern for securing your gear. I do wish the company included the additional equipment that comes with the other four models I tested. You’ll need to purchase a paddle, pump, and repair kit separately, but this allows you to customize your add-ons. Overall, I would recommend this kayak to anyone, especially frequent travelers. The Driftsun Voyager Tandem Inflatable Kayak comes with virtually everything you need to get started, excluding the PFDs. It measures 120 x 35 x 16 inches and weighs in at only 27 pounds, making it easy to carry. The recommended weight limit for this vessel is 450 pounds, so it’s ideal for tandem paddlers. I am particularly fond of this kayak’s removable and adjustable padded seats, which have great back support. There is also a removable skeg to help with tracking, and the Boston valves make for quick inflation and deflation. I’d recommend this vessel for rivers, lakes, and streams. It’s a comfortable vessel, making it ideal for long days out on the water. There are Velcro oar holders on each side to keep your paddles safe and sound when not in use. Setting up this kayak is a breeze and takes only minutes. 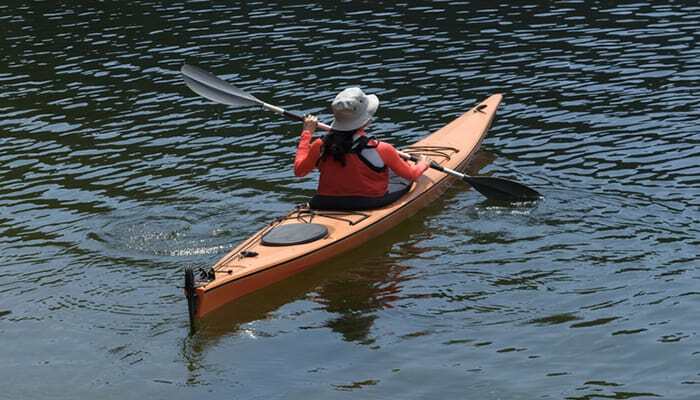 It’s sturdy and well-built, and I would recommend it for paddlers of all skill levels. I’m a sucker for add-ons, and Driftsun does not disappoint with this model. The package includes two aluminum kayak paddles with ergonomic grips, a deluxe double action hand pump, a repair kit, and convenient travel tote. Best of all, this vessel tracks well and offers a smooth ride. As for cons, this kayak is an investment, and not all kayaking enthusiasts may want to splurge on a pricier model such as the Voyager. Overall, I give this vessel 5 glowing stars. It’s a treat to use. Featuring a tandem design ideal for soloists, pairs and even trios, this popular kayak is a bit pricier, but doesn’t break the bank. The Sea Eagle Inflatable Kayak measures 34 x 19 x 11 inches and weighs 32 pounds. The weight capacity is extremely generous at 650 pounds. 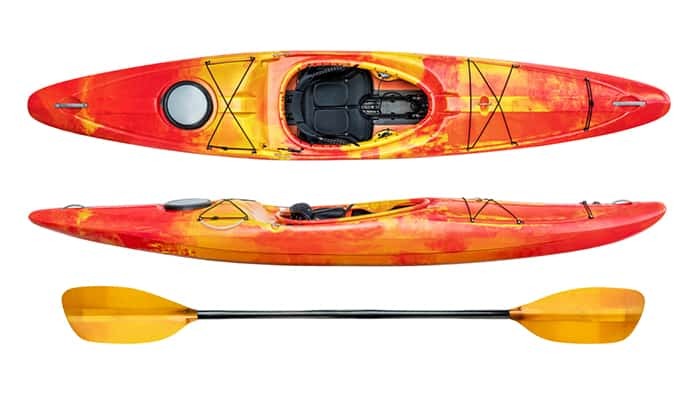 This Sea Eagle model comes with virtually everything paddlers need, including two 7’10” paddles, dual inflatable seats, a handy foot pump, a repair kit, and a convenient bag to carry your kayak and gear. The vessel is very sturdy and gives me a sense of security on the water. It’s solid and comparable to commercial inflatable models. Set up takes a bit of time, as the seats need to be inflated, as well as the vessel itself. It’s worth the effort, however, as this kayak offers a comfortable seating experience. I had no problem toting this lightweight model. It fits easily into the backseat or trunk of a car, and the included bag makes it easy to carry. I have very few qualms to mention in regards to this mid-priced model. I do wish it had more storage, but it’s not surprising that storage wasn’t prioritized since this is a tandem vessel. Although this wasn’t a problem for me personally, one reviewer noted that the blue dye from the webbing on the seats bled onto the PVC. Overall, this vessel is a great option for paddlers of all skill levels. It’s versatile enough to carry one to three people, and the weight limit is so generous, you can pack all the gear you can handle. The Intex Explorer K2 is a great, affordable inflatable kayak. I also appreciate that it comes with virtually everything you need to get started, excluding a personal flotation device (PFD). Made for smaller bodies of water, this kayak measures 20 x 36 x 123 inches. It weighs just over 31 pounds, and the recommended weight capacity tops out at a whopping 400 pounds. This is important to note when taking each paddler’s weight and additional gear into consideration. While this kayak is affordable, the manufacturer didn’t sacrifice comfort in its creation. It includes adjustable, inflatable seats with cushioned backrests, and just like the company specifies, the cockpit provides plenty of comfort for both paddlers. The seats attach to the floor with handy Velcro strips, making them easy to maneuver for a customized fit. I love that the included skeg is removable, and I also appreciate that the vessel is made from puncture-resistant vinyl. The kayak is the brightest shade of yellow, making it very easy to spot. If you’re venturing out on lakes, ponds, or small rivers, this Intex model is an excellent choice. If you plan to frequent larger bodies of water, however, I’d opt for a different kayak. The company has included an inflatable I-beam floor for comfort and rigidity. The dual Boston valves allow for easy inflation and deflation, and best of all, the pump is included. In addition to the vessel itself and the handy pump, Intex includes two 86-inch aluminum oars, as well as a U.S. Coast Guard I.D., a repair patch kit, and a bag to store your kayak and accessories in. Fellow paddlers love that this vessel doesn’t flip easily and reentry isn’t difficult. Plus, the seats are removable, so the kayak can be used as a boat, and will easily fit two people facing each other, according to a satisfied customer. When I’m ready to go out on the water, the kayak only takes about 15 minutes to inflate and set up. It fits easily into the trunk of a small car, and it’s easy to carry. Plus, it’s simple to deflate. As for the cons, the vessel could navigate more smoothly in the water. It’s also not intended for speed, so if leisurely trips are your preference, this vessel will work just fine. Overall, I’d recommend this kayak to beginners and leisure paddlers. It’s an incredible value, making it budget-friendly and ideal for infrequent kayakers. This one-person kayak is an incredible value, and just like the above-mentioned Intex Explorer K2, it comes with everything you need to get started, minus the PFD. This kayak won’t break the bank, so it’s ideal for infrequent paddlers and folks new to the sport. The vessel measures 30 x 15 x 108 inches, and it weighs only 23.9 pounds. However, the weight capacity tops out at 220 pounds, which is important to consider, especially for larger paddlers and/or those who tote lots of gear. The cockpit is designed for comfort and has plenty of space, and Intex has included an inflatable seat, which can be customized for your comfort. The vessel is made from durable welded materials, which gave me peace of mind while trying it out on the water. I also love the bright color scheme. Not only are the shades of green, blue, and grey attractive, they are easy to spot on the water. Storage was also prioritized in this model’s design. There is a built-in cargo net to store gear, and there are grab lines on both ends for easy toting. Intex is generous when it comes to add-on items. The company includes an 86-inch aluminum oar, a high-output air pump, and a convenient carrying case. Like the Explorer K2, the kayak includes a removable skeg. Inflating the kayak takes 10 minutes or less, and deflating it after an outing takes the same amount of time. Set up includes inflating the vessel, along with the seat and foot cushions. The kayak fits easily into a small space, making it easy to store and transport. The vessel works on various bodies of water. I tried it out on a river, and it tracked decently. While perusing reviews, I stumbled across one testimony from a satisfied customer who takes her dog along on her Challenger K1. Even though I love this kayak, there are a few cons I’d like to mention. The skeg can come off rather easily, so some K1 owners have rigged the skeg so it attaches to the vessel more permanently. It also takes considerable effort for this vessel to track straight, and it’s not speedy, so if you’re okay with slower speeds, you won’t mind this drawback. The vessel also takes time to dry out, so don’t plan to stow it away immediately following an outing. Overall, I’d recommend this vessel for new paddlers and those looking to enjoy leisurely outings. 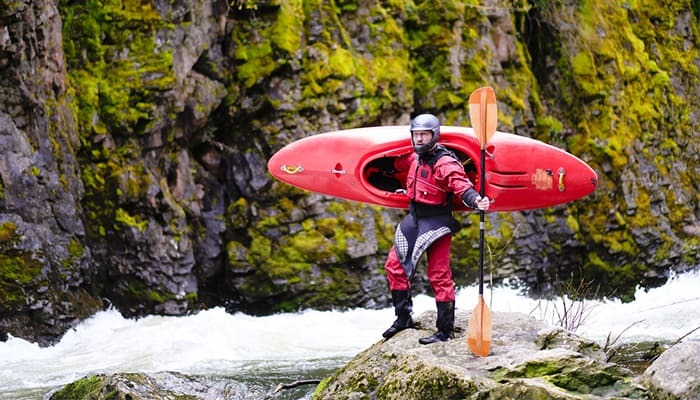 The wonderful world of kayaking is continually upping its game when it comes to kayak options. 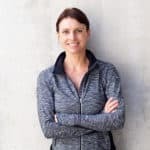 The popularity of inflatable versions has made quite a splash recently, and many folks are opting for inflatables as opposed to hardshell vessels. If you’re teetering back and forth between which type of kayak to purchase, I’d like to help you narrow the field. There are several pros and cons with both inflatable and hardshell versions. Let’s cover those—along with some important questions to ask yourself. In my humble opinion, inflatable kayaks’ pros outweigh the cons in spades. These vessels are typically much easier to tote and to transport than their hardshell competitors. Despite being lighter in weight, these durable kayaks often have a similar weight capacity to rigid vessels. Some are even designed to handle more weight than hardshell versions. Because of their many pros, I recommend inflatable kayaks for both beginner and seasoned kayakers. However, it’s important to keep your personal needs and preferences in mind before deciding on a vessel of your own. Durability: Inflatable kayaks are built to last and are able to withstand those unavoidable bumps all kayakers face at one time or another. They are abrasion-resistant and have buoyancy, making them ideal for bouncing off rocks, twigs, and other barriers. This buoyancy can help immensely in the case of a collision. Don’t underestimate how tough well-made inflatable kayaks truly are. They are often made with drop-stitch technology, which is essentially small interlocking fibers that engage when the vessel is inflated. The outer surface of these kayaks are generally made from rubber and PVC, similar to the materials used in whitewater rafts and lifeboats. For this reason, inflatable kayaks tend to be more durable than their rigid competitors. Stability: In addition to being incredibly durable, inflatable kayaks generally have a wider base, so they tend to be more stable. 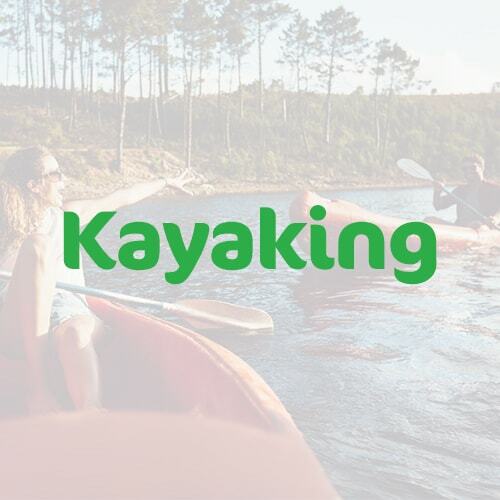 Price: Budget-conscious kayakers appreciate the fact that, with some exceptions, inflatable kayaks tend to be more affordable. If you aren’t in a position to splurge on a high-end model, you may want to consider one of the lower-cost versions listed in our top picks for inflatable kayaks below. Transportability: Because you can inflate and deflate your inflatable kayak before and after every use, this type of vessel is incredibly easy to transport, and doesn’t require a complex rooftop rack system. In fact, you can throw your inflatable kayak in a suitcase or bag and check it with your luggage when flying. Inflatable kayaks are particularly beneficial for folks who travel often. They eliminate the need to rent a hardshell kayak, saving you lots of time and money in the long run. 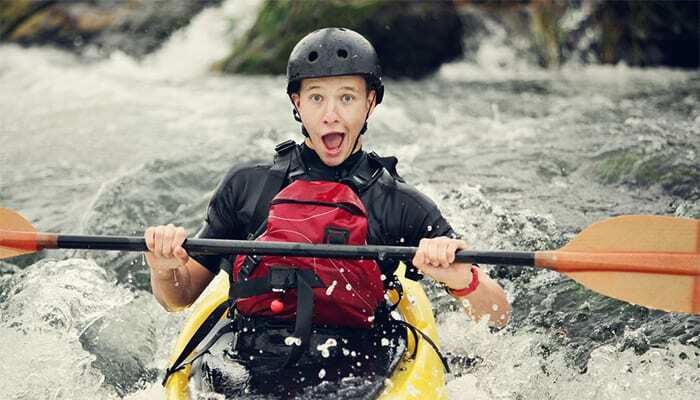 Safety: If you’ve ever been hit in the head by a hardshell kayak, you know how much it can hurt. Inflatable versions tend to be more forgiving; if you hit your head, you’ll probably bounce right off. Storage: If you don’t have a lot of storage space, you’ll love the fact that your deflated kayak can easily be stored in a closet or under a bed. Inflatable kayaks are especially suitable for apartment dwellers. Inflating and Deflating: With a hardshell kayak, you can simply grab it and go, while an inflatable version takes a bit more preparation. You’ll need to take the time to inflate your kayak before every use, which generally takes 10 to 15 minutes with a pump. If your kayak doesn’t come with a pump, I recommend purchasing one to save you valuable time, energy, and effort. You’ll need to pay close attention to your vessel’s PSI (pounds per square inch) to ensure you pump the correct amount of air into your kayak. Note that higher PSI indicates how rigid your vessel can become, so prioritizing PSI when shopping will be beneficial. After each outing, you’ll need to deflate your kayak. This also takes time, as you’ll need to wash it and make sure it’s fully dry before stowing it away. Skip this step and your vessel will be susceptible to damage and will become downright stinky. Control: As I previously mentioned, inflatable kayaks tend to be lighter than rigid models; this can impact the control you have over your vessel while on the water. 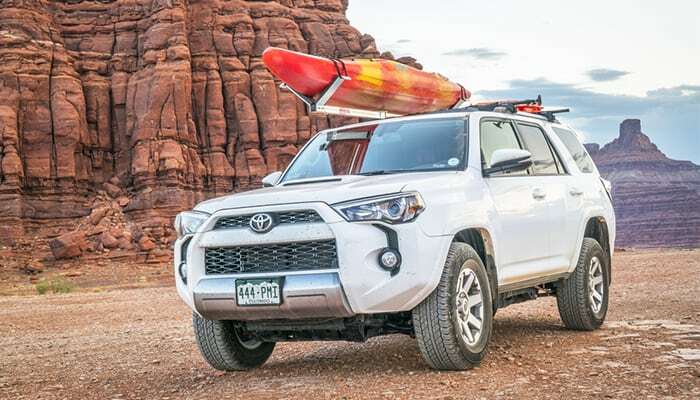 If you plan to frequent rockier waters, you may want to look into purchasing a hardshell version, although there are several inflatable models on the market that can handle wavy waters or rapids. No Inflating: The number one selling point I can’t deny with hardshell kayaks is the fact that you can grab them and go. There’s no inflating or deflating, so you don’t have to take time out before and after your adventure. Sure, they’re generally bulkier and heavier than inflatable models, but they allow you to save your energy for the water. Control: Many kayakers note a marked difference in their ability to control a hardshell vessel as opposed to an inflatable model. It’s important to keep your own skill level in mind, and the type of waters you plan to frequent. If your goal is to ride the ocean waves or cruise on whitewater rapids, I recommend a hardshell kayak over an inflatable one. Weight: Traditional harshell kayaks aren’t exactly lightweight. Whether they’re made from plastic, wood, or fiberglass, these rigid vessels are almost always heavier than inflatables. Portability also comes into play when it comes to a kayak’s weight. Some vessels require two people to tote them, so keep this in mind when choosing your kayak. 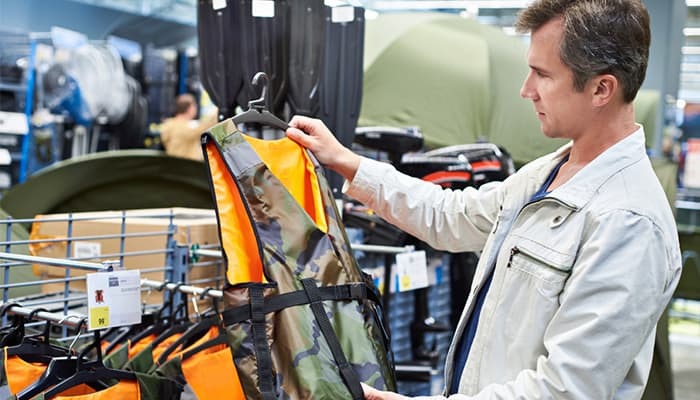 If you’re able to park next to the water, the lack of portability may not be an issue, but if you have to tote the vessel through the woods, an inflatable may be for you. Additionally, rigid kayaks typically have a lower weight limit than inflatable versions. Keep your body weight and the weight of your gear in mind when deciding on the vessel that’s right for you. Transportability: Along with being more cumbersome to carry, hardshell kayaks are more difficult to transport in a vehicle. If you can’t fit a rooftop rack on your car, or you just don’t want the hassle, I’d strongly encourage you to opt for an inflatable model, which can ride along in the backseat or trunk. Durability: Because hardshell kayaks don’t have the buoyancy their inflatable competitors offer, they are easily damaged from those unavoidable scrapes and bumps on the water. Maintenance: Inflatable kayaks tend to require minimal maintenance. Hardshell versions, however, generally require much more. Depending on the type of vessel you choose, repairs can be costly. Wood tends to require frequent maintenance, while plastic generally requires less. Keep in mind that repairs to plastic models tend to be more expensive. Although fiberglass models tend to be pricier to purchase, they rarely need repaired. Because of this, considering your budget is important when purchasing a hardshell kayak. 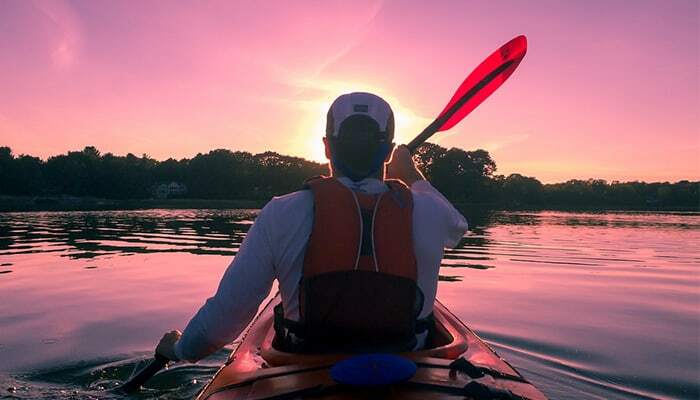 With the above tips in mind, I recommend taking a few additional steps before splurging on a kayak. It’s important to make sure you love the sport before making the investment. Additionally, researching local waters and getting advice from a local pro can be extremely helpful. Try out the sport: Before you buy a kayak, rent one from a local paddling shop, and/or ask a kayaking friend to join you for an outing. If you’re a seasoned kayaker, you probably won’t need to test the waters. But if you don’t have kayaking experience, you’ll want to make sure the sport is for you. I also recommend taking your family along if you plan to paddle together. Kayaking is an excellent intergenerational activity that the entire fam can enjoy. 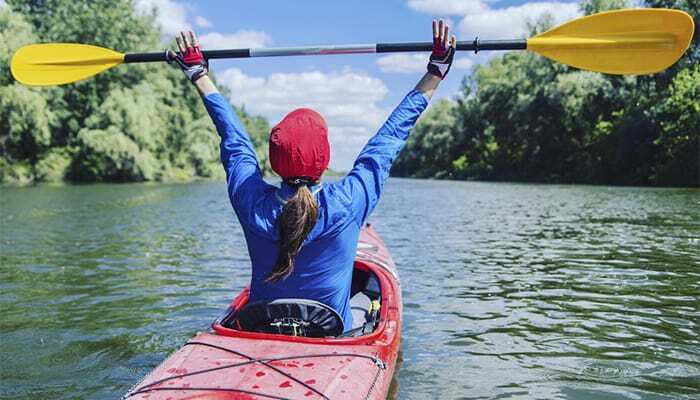 Take a lesson: You can skip this step altogether if you’ve already fallen in love with the sport, but kayaking lessons are a great way to get acquainted with the activity. You’ll also learn important safety information that can be lifesaving on the water. Do your research: Before purchasing your vessel, research multiple models by reading reviews and watching YouTube videos. There are countless free resources to make your decision easier. Set aside time to do your homework. This preparation will allow you to get to know your vessel before venturing out. How often do I plan to kayak? The amount of time you plan to spend kayaking can help you prioritize factors such as the quality of the kayak you’re looking for, as well as budget. You may not want to spend a lot on a vessel if you don’t plan to paddle often. If you intend to venture out frequently, however, you may want to splurge on a higher quality vessel. Who will I kayak with? If you plan to make kayaking a family adventure, or you plan to take a friend or family member each time, you’ll probably be best served by a tandem or convertible kayak. These vessels allow you to ride both solo or with a fellow paddler. They also offer excellent versatility. How much weight can I carry? 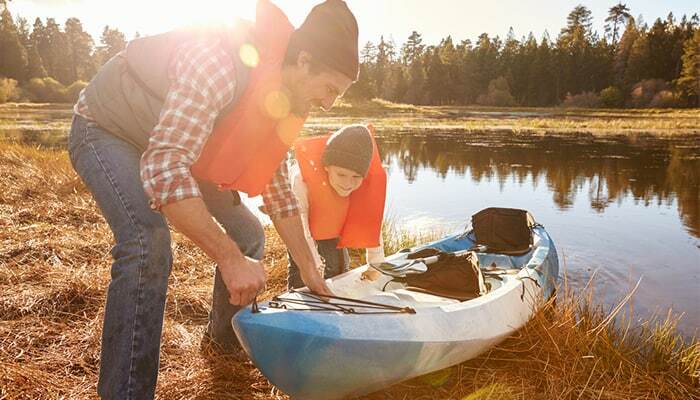 A kayak’s weight is an important consideration when deciding on your purchase. If you plan to be a primarily solo paddler, opt for a model you can tote on your own. How much weight can the kayak carry? In addition to your own weight, you’ll need to consider fellow paddlers and/or gear when reviewing a vessel’s weight capacity. Sure, you might weigh 150 pounds, but your gear and a passenger can add considerable weight to your vessel. It was a joy to try out these vessels. I hope this guide helps you decide which kayak is right for you. 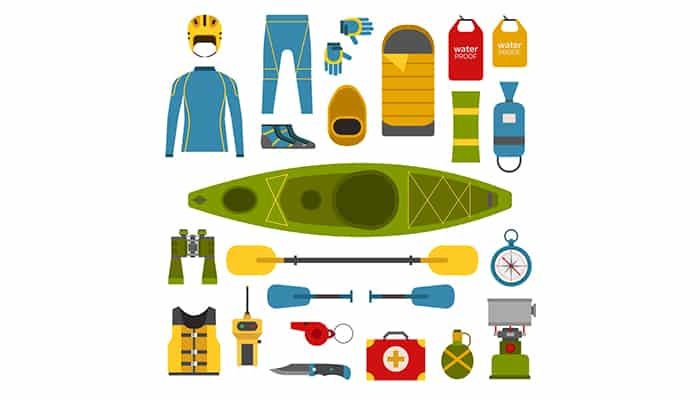 I suggest making a list of must-have and preferred features and accessories to ensure you’re prepared while shopping for your kayak. Regardless of which vessel you choose, don’t forget to enjoy the journey!